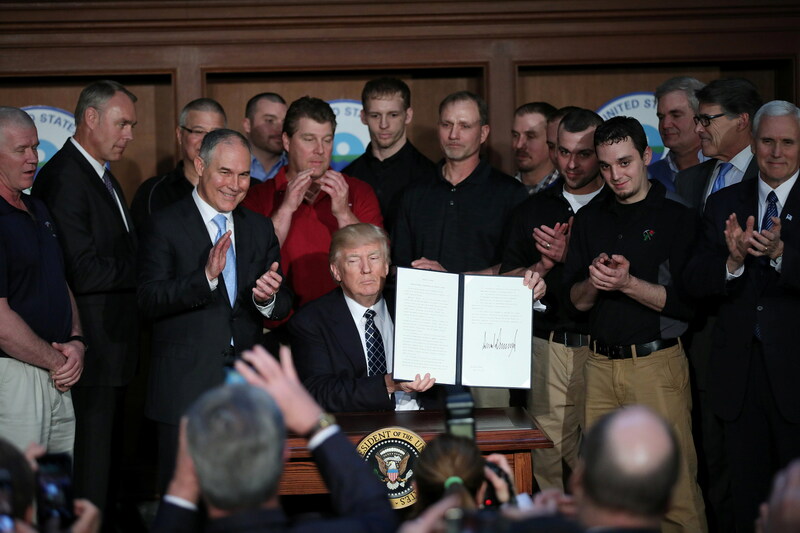 WASHINGTON (Reuters) – A Native American tribe in Montana and a coalition of conservation groups sued the Trump administration on Wednesday for lifting a moratorium on coal leases on public land without consulting tribal leaders and conducting a full environmental review. “It is alarming and unacceptable for the United States, which has a solemn obligation as the Northern Cheyenne’s trustee, to sign up for many decades of harmful coal mining near and around our homeland without first consulting with our Nation,” Tribal Council Chairman and President Jace Killsback said in a statement. The Northern Cheyenne Tribe in southern Montana said the administration had lifted the moratorium without hearing the tribe’s concerns about the coal-leasing program’s impact on its members and lands. The tribe sent a letter earlier this month to Interior Secretary Ryan Zinke requesting a meeting to discuss the issue. Zinke did not respond, and signed the order lifting the moratorium on Tuesday. In a press call on Wednesday, Zinke did not respond to a query about the Northern Cheyenne lawsuit. Killsback said the tribe, which filed the lawsuit in U.S. District Court in Great Falls, would be harmed by lifting the ban. “The Northern Cheyenne rarely shares in the economic benefits to the region generated by coal industry and other energy development projects,” he said. About 426 million tons of federal coal are located near the Northern Cheyenne Reservation at the Decker and Spring Creek mines in Montana, the tribe said. However, neighboring tribe, the Crow, relies on coal production as its predominant industry and has called for the relaxation of coal regulations for years. “A war on coal is a war on the Crow people,” Zinke said on the call. Legal group Earthjustice argued that lifting the coal moratorium imperils public health for the benefit of coal companies. “No one voted to pollute our public lands, air or drinking water in the last election, yet the Trump administration is doing the bidding of powerful polluters as nearly its first order of business,” Earthjustice attorney Jenny Harbine said in a statement. The legal filing said that undoing the moratorium violates the National Environmental Policy Act, which requires a full environmental review prior to major policy changes.